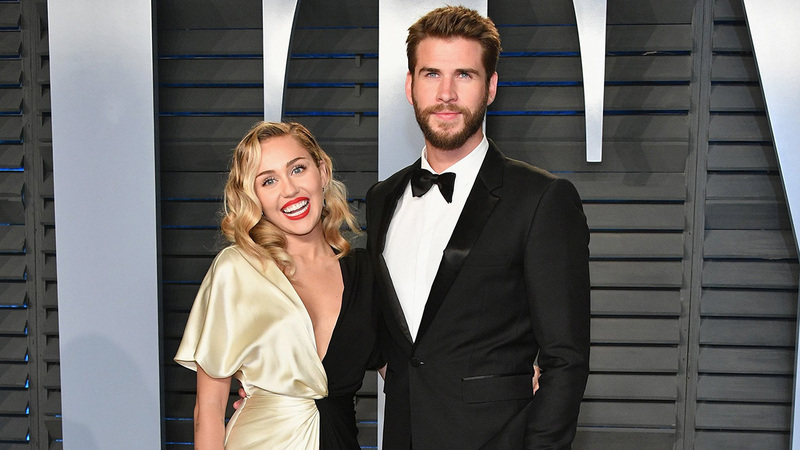 Miley Cyrus and Liam Hemsworth are officially married. The couple tied the knot over the weekend in a small ceremony in Hemsworth's native Australia. Cyrus' mom, Tish Cyrus, and dad, Billy Ray Cyrus, were in attendance. Photos from her ceremony surfaced on social media Monday. Cyrus confirmed the news Wednesday in a series of Instagram posts, including a picture of the couple embracing during the ceremony with the caption "10 years later...". The couple first met on the set of "The Last Song" in 2009 and began dating and even got engaged in 2012. But they called off their engagement the following year and stayed broken up for three more years. Cyrus recently spoke about the breakup, saying, "(I) needed to change so much. And changing with someone else not changing like that is too hard," she told Billboard. "Suddenly you're like, 'I don't recognize you anymore.' We had to refall for each other." The stars were spotted hanging out again in 2015, and in 2016, during an interview on "The Ellen DeGeneres Show," Cyrus confirmed that she and Hemsworth were not only back together but engaged. Ever since, they have been rather low-key about their relationship, but Hemsworth did take to Instagram last year to call Cyrus his "little angel." They had been living together at their Malibu home, which they lost in the California fires last month. Following the devastating incident, the couple donated $500,000 to The Malibu Foundation.